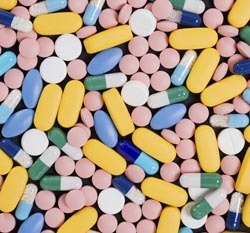 Although the majority of patients on antidepressant therapy are not taking the drugs for nonmedical use or abusing them, there is a potential for misuse; this is particularly concerning due to a link between mood disorders and comorbid substance use disorders that may increase the vulnerability of patients taking antidepressants to misuse or abuse their medications. While the majority of cases between the 1960s to the 1990s involved monoamine oxidase inhibitors (MAOI), in the last decade, the most commonly cited antidepressant for misuse has been bupropion, primarily via intranasal administration. In the case of tricyclic antidepressant (TCA) abuse, the majority of reports tend to involve tertiary TCAs, possibly due to their anticholinergic and antihistaminergic effects. Although they are a popular choice for depression treatment, few cases of abuse have been reported with selective serotonin reuptake inhibitors (SSRIs). The increased availability of prescription medications, along with websites selling controlled substances without a prescription, are factors attributed to the increase in antidepressant misuse. Patients most often report abusing antidepressants to achieve a psychostimulant-like effect. Clinical tools for assessing risk of misuse or abuse of antidepressants, particularly in patients with depressive symptoms, should be utilized by physicians prior to initiating treatment; currently there are no guidelines for treating depressed patients misusing or abusing antidepressants. Background: Rates of prescription drug abuse have reached epidemic proportions. Large-scale epidemiologic surveys of this under-recognized clinical problem have not included antidepressants despite their contribution to morbidity and mortality. The purpose of this review is to look specifically at the misuse of antidepressants and how this behavior may fit into the growing crisis of nonmedical use of prescription drugs.